Part 2 is out and all people who were involved in making these awful films should be rounded up and put in a fenced enclosure for the death games in which all that paid to watch their films get to hunt them like deer. From the writers, directors and actors they will all be hunted in the death games. Weapon of choose the mace and I am talking medieval mace. I had to watch some of these films again to know what I am talking about on the reviews and this one was ridiculously funny the second time around, watch out boys and girls because the air is going to get you. Grim apocalyptic tale about a family fleeing a natural disaster that poses a grave threat to the whole of humanity. Philadelphia high-school science teacher Elliot Moore (Mark Wahlberg) is discussing the disappearance of the bees with his students when the staff is summoned to the theatre and briefed about a mysterious event that is currently unfolding in New York City. Now to be fare the beginning wasn’t too bad, it started of pretty interesting because you didn’t know what was happening to people or understand the event being portrayed for example the scene with the builders falling off skyscrapers was making you think what’s going on here. Then again it wouldn’t be on the list without the rest of the film which was boring and a bit scrabbled from the characters to areas they went. The best scene for mockery is the group of people running around in the field because they see the grass wave in the wind. The film does make you think are they trying to make me hug a tree or run in the garden with an axe because its messages where all over the place. Just please don’t watch it. Unless of cause you want to see adults running from literally thin air! Look out it’s a pretty fairy! Wait what? It’s a vampire, seriously. Ok then wow. This is a horrible creation of teen friendly film making and is still on-going despite my many complaints so here’s another. My description: fairy queen vampire Edward falls for a young woman in school(nothing creepy there) and decides to freak her out as much as possible to stop her from getting involved in his dangerous life, but then fails miserably and she nearly gets killed in every scene from meeting the family to meeting the old friends. Oh and him sparkling in the sun a couple of times just to make it more terrible. My favourite review “I’ve had mosquito bites that were more passionate than this undead, unrequited, and altogether unfun pseudo-romantic riff on Romeo and Juliet.” Marc Savlov. Now I get that I am in no way this films target audience but that doesn’t mean they can get away with making this turd of a movie. There is no excuse for weird effects, wooden acting (Kristen Stewart), boring non necessary scenes such as in the school which seemed to last forever. Just please don’t watch them, any of them! What really gets me annoyed about this film is that it was made by people who know better and still made it as is, so for that they have lost all my respect. 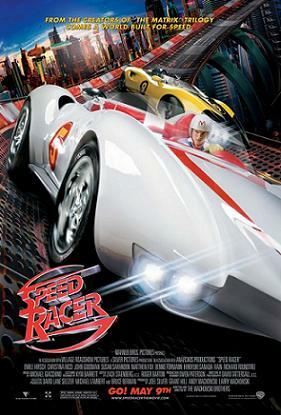 The Matrix masterminds Andy and Larry Wachowski usher anime icon Tatsuo Yoshida’s classic 1960s-era hit into the new millennium with this family-friendly story of a young race car driver who takes on the mysterious Racer X in a custom-made, gadget-loaded speed machine named the Mach 5. The visuals where terrible, everything looked cheap and the whole thing was a poorly conceived project which should have been better based off the TV series. 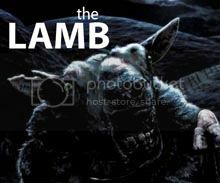 The main complaint for me was the weird acting and every visual effect looked like it was of the cat in the hat movie. Best review to describe it: “You have to be 12 to like it, and I have to say there is little or nothing here to remind us why we were all quite so excited about The Matrix.” Just please don’t watch it! 20th century fox you rat bastards, you had to do didn’t you, you had to ruin dragonball. You had to make this terrible excuse of an adaptation and now it will never be made into a great movie saga, why did you do it. First firefly then this, damn you fox damn you! 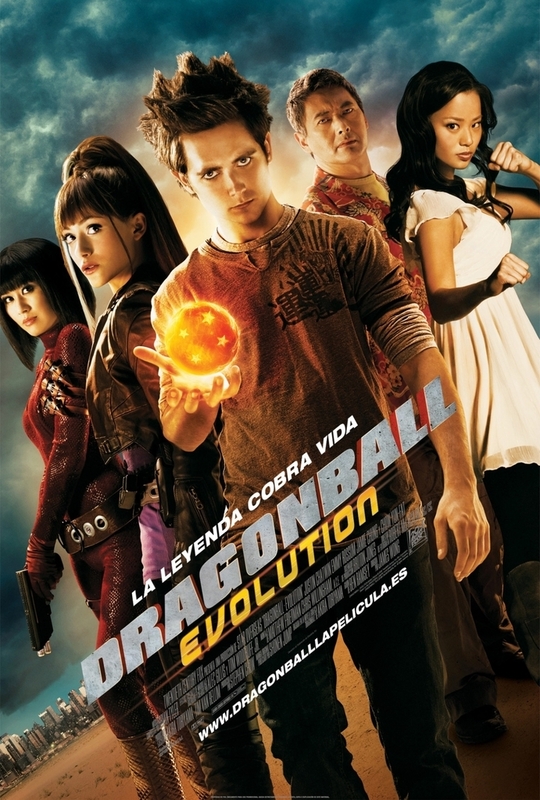 James Wong adapts the rich mythos of the Dragonball series that grew from a manga into various popular animated series with this 20th Century Fox production starring Justin Chatwin. The plot revolves around Goku (Chatwin), Earth’s greatest champion, who must defend the planet against an invading race of alien warriors hell-bent on dominating the universe. Most relevant review: “Making no effort to be original, exciting, witty or even vaguely plausible, it may pass the time as sparkly fodder for 12-year-old boys with plenty of sugar in their bloodstream”. David Jenkins. This film lacks in every department in my view but of course my view may be biased as I loved the original series and this was such a crushing disappointment. Just please don’t watch it! And if you watched the anime series it will only hurt. Guess its Paramount’s turn to ruin my childhood TV series by producing this adaptation of the very popular nickelodeon TV series which was very good I must say and has been through the film production shredder to produce this mangled piece of film. Suspense auteur M. Night Shyamalan takes a break from crafting original screenplays (really wish he didn’t) to tell this tale of a 12-year-old boy (Noah Ringer) who provides the last hope for restoring harmony to a land consumed by chaos. In a world balanced on the four nations of Water, Earth, Fire, and Air, people known as the Waterbenders, Earthbenders, Firebenders, and Airbenders (and the people who made this were just benders) have mastered their native elements. Just to clarify how bad it is I had to pick a couple of reviews to show: “After the first five seconds, it seems as if you have been watching it for around two-and-a-half hours, and that this time has passed in four-and-a-half days” Peter Bradshaw. “$150,000,000 well wasted. 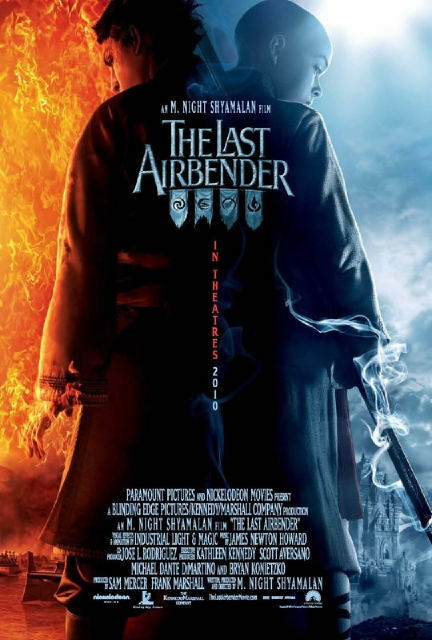 The Last Airbender is an insult to those wanting sophisticated, entertaining or even competent cinema” Mike Leader. “How did Shyamalan get it so wrong?” David Sexton. Not sure because he has made two of the movies on my list so theory is that he had some kind of miniature stroke before filming started. The acting was terrible even for kid actors. The effects just didn’t work well with the martial art like in the TV series. The direction was terrible from start to end. Just please don’t watch it! And the same warning, if you watched the anime series it will only hurt. There are many times that I will see a copy of The Happening in a video store and I will think about buying it. Then there are many times that I am reminded as to why I should just let it sit there. This post is another one of those reminders. 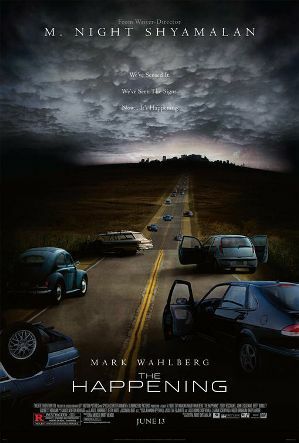 The Happening was so ridiculous…watching Marky Mark outrunning nature was just a bit too goofy even for me. Usually the films made by M. Night Shyamalan that people malign, like “The Village” or “Lady in the Water”, have some redeeming values. I give him credit for trying something different, even if it’s not always successful. However, “The Happening” was completely misguided, and I already gave a thorough disection of “The Last Airbender”. The annoying thing about “The Happening” is that it has an intriguing premise, but was handled completely horribly. The characters are cringe-inducing, the situations laughable, and the ultimate threat confounding. Someone should do a sequel just to do something worthwhile with the concept. I think you are thinking of “Day of the Triffids,” where mobile man-eating plants take over the world after an event causes most of the population to go blind. The book is awesome, but the 1950s film adaptation has a lot to be desired. I haven’t seen the miniseries made in the ’80s, though. It might be truer to the book.